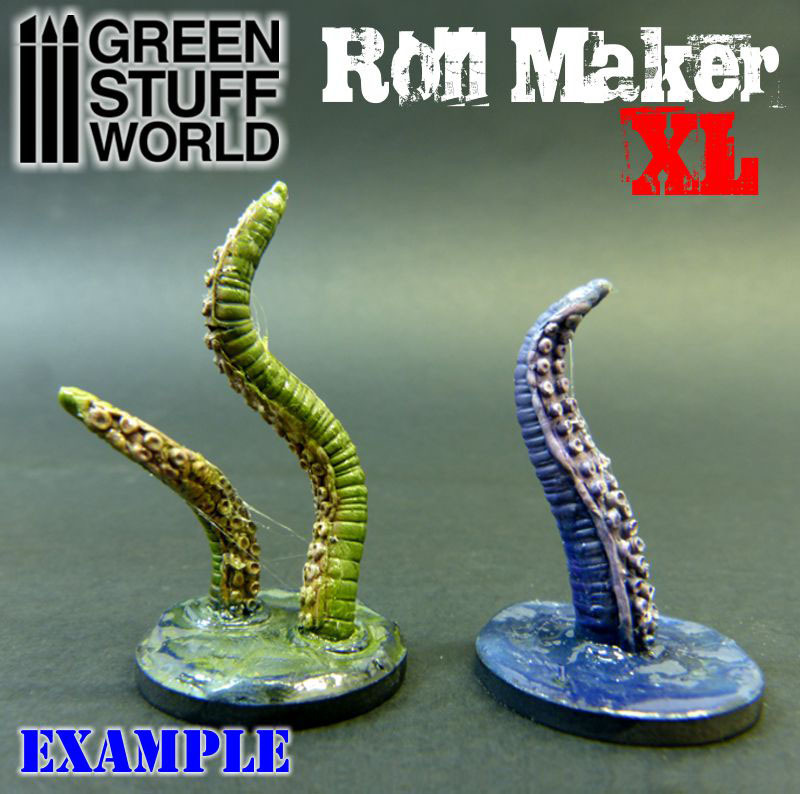 Roll Maker XL will allow to make tentacles up to 75mm length without joints, and it also combinable with Roll Maker standard versión, since all plates are different in size. Guide bars are now stackable to allow you to make thicker pieces such us columns or trees. 2 STACKABLE guide bars. Use them to hold the plates and to get an extra 45º position for new textures.